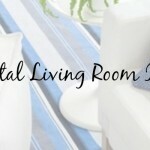 One of the great aspects of owning a beach cottage is how the furniture, decor and look can really reflect the location. Calming colors, a relaxed atmosphere and high quality pieces work in tandem to complete your dream home by the coast. Dining rooms have different styles & tones, but all can reflect styles from the sea. 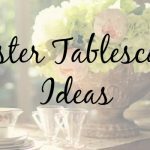 With holiday entertaining around the corner, create an inviting, laid-back space with these decor ideas. 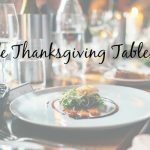 Chances are you’ll want to host holiday festivities at your beach home, so choose a large dining room table with seating for 8 to 12 people so that everyone will have a seat. When not in use for meals, it’ll be a great place to spread out art projects or to enjoy a dining with a smaller party when at one end. An Irish Farm Table with handcrafted elements transport you to a simpler time, and the sturdy base welcomes any number of guests. You may find that you have no need for a kid’s table at the holidays anymore. Cottages are usually full of light and also white color palettes. Don’t be afraid to bring in a pop of local color. From a tranquil blue to greens of the local vegetation. If your dining room looks out to your garden or a beautiful vista, replace standard windows with a glass door or keep window dressings to a minimum to give the room a direct connection to the outdoors or to let in the colors of the garden. Vintage and cottage go hand in hand. Many people have cottages dating back to ancestors they never even knew and most have certainly had many design iterations. Even if your cottage is newer, it doesn’t mean you can’t take advantage of a few vintage pieces. 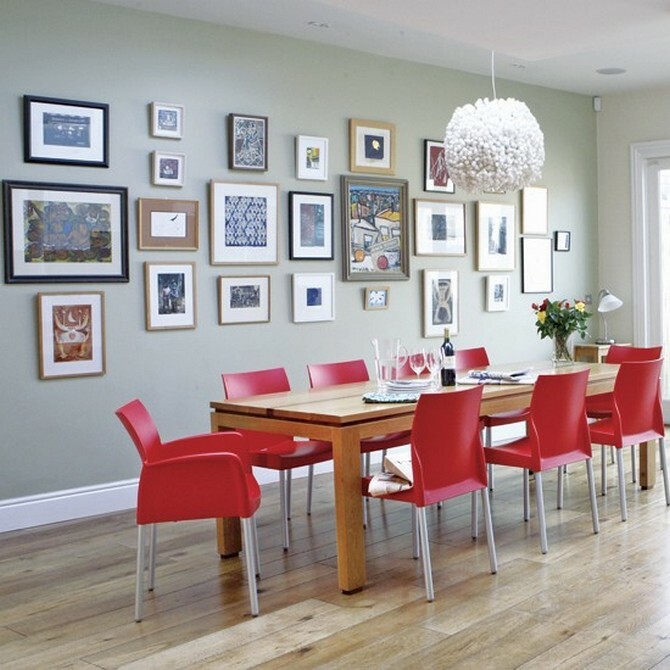 This retro dining room offers a colorful look due to the red dining chairs. Updating with a few colorful, even mis-matched pieces is a fun way to pay homage to the past. Don’t go over the top. Keep things minimal to help the space feel larger and brighter. A minimal design also ensures all your guests have a comfortable place to gather. Beach houses & bungalows are known for their smaller spaces, so think about the shape of your dining table. 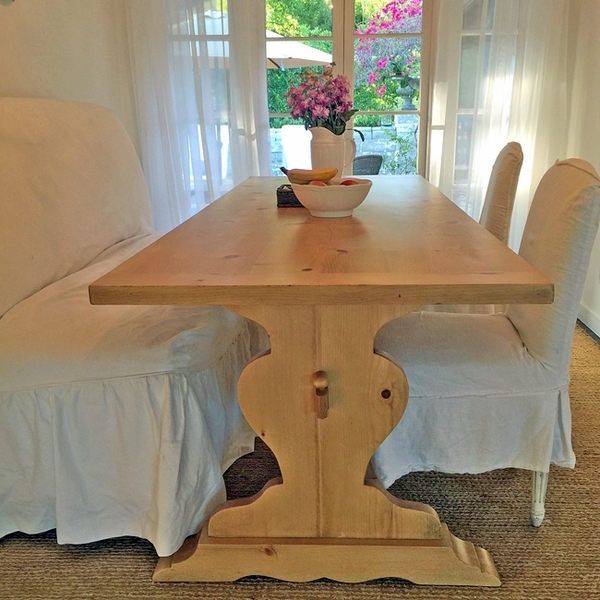 A round table is easier to get around in tight spaces, and you can squeeze in an extra spot or two when guests drop by. A glass or acrylic top does not take up any visual space and can make your room appear larger. The beautiful thing about shabby chic, it’s whatever you make it! 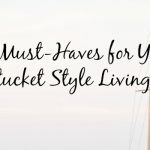 Rustic and modern, old and new, soft and hard lines all work in unison to perfectly present your coastal cottage style. 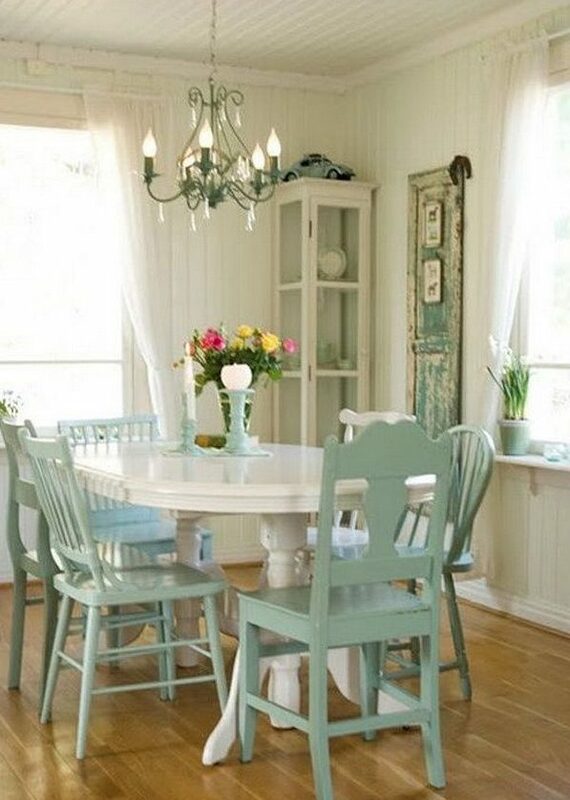 Mismatched wood pieces, and a sturdy dining room table, are the perfect back drop for building your shabby chic dining room. Add layers of interest throughout time. It’s comfortable, elegant and right at home. There’s just something about equestrian down along the coast. Consider bringing in a farmhouse look. Polished nickel around the lights, wood furniture, exposed beams and other horse pieces can transport you to the farm. Lighting is one of the most important aspects of interior design, and your beach cottage is no exception. From antique looking fixtures to unique designs, floor lamps, table lamps and chandeliers are an easy way illuminate a space, create impactful visual interest and make a statement. Whether you bring in a colorful area rug or stain the wood flooring that tranquil blue, some color on the floor is a beautiful idea. It doesn’t even need to completely cover that beautifully shabby chic wood table. It just adds a bit of interest. Show off the local look with locally inspired flatware. These are just a few ideas you can take advantage of. There is no right or wrong way to decorate your cottage as long as it is true to your own taste. Above all else, make sure to have fun while decorating every inch of the house, including the coastal cottage dining room. 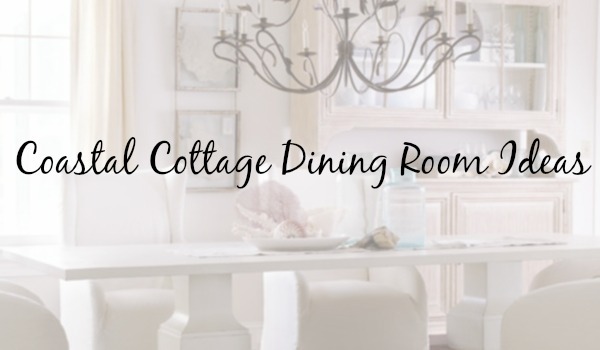 What are your favorite coastal cottage dining room ideas? We’d love to hear! Share your feedback on our Facebook page.